I'm not Taiwanese nor am I a fan of the New York Knicks, but I do respect any player that can capture the attention of basketball-savvy New York fans, especially if that player happens to also be Asian-American. Jeremy Lin's herky jerky style of play is perfect for Mike D'Antoni's pick and roll offense. 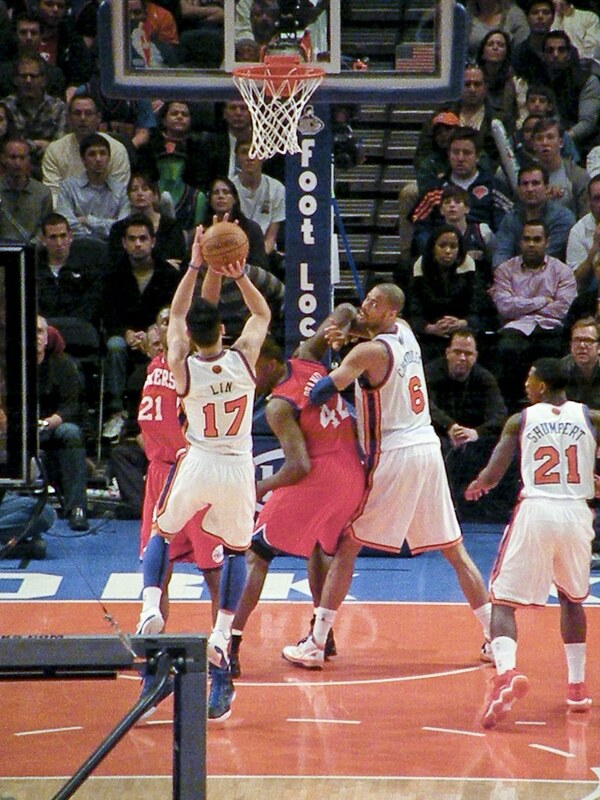 Here's the highlight rundown of the rise of Linsanity. Coach D'Antoni gave Lin a handful of minutes during the Celtics, but the Jeremy Lin's break out game was the next one, opposite Deron Williams and the New Jersey Nets. Carmelo Anthony and Amare Stoudemire had off shooting nights but Lin provided 25 points off the bench to lead the Knicks to a win. It's not a streak until you win 2, and this win over the Utah Jazz was Jeremy Lin's first start, with Carmelo Anthony on the bench. This game featured the "blue tongue" after Lin hits a 3 at the buzzer. Several New York Giants were in attendance as well, having just won the Super Bowl. Before we get to the Knicks game against the Washington Wizards, I think it's good to show this highlight reel of Jeremy Lin's 2010 summer league game against Washington, back when Lin was on the Dallas roster. Fast forward back to 2012, Lin had since been released by Golden State (where he was a fan favorite among Asian-Americans), then Houston, and was probably going to be cut again by the Knicks. His recent play earned him a guaranteed contract (and truthfully, his increased playing time around this time had a lot to do with a looming deadline on that contract), and once again he was able to square off against John Wall and the Wizards. Just in case you weren't sure: 4 years at Harvard > 1 year at Kentucky. Lin's biggest test would come the following Friday, but you couldn't script a better result for the young player. Going against a veteran team, Lin set a career high 38 points against the Los Angeles Lakers, sending Madison Square Garden into delirious linsanity. The Knicks would go on to win the next game against the Timberwolves, but the Laker game felt like the natural crescendo of the Jeremy Lin story arc (at least this first rise). I'm a fan of New York City, I love New York City basketball fans, and I think the NBA is well-served when the Knicks are relevant. Jeremy Lin brings that relevance in a variety of ways, most importantly in the standings.